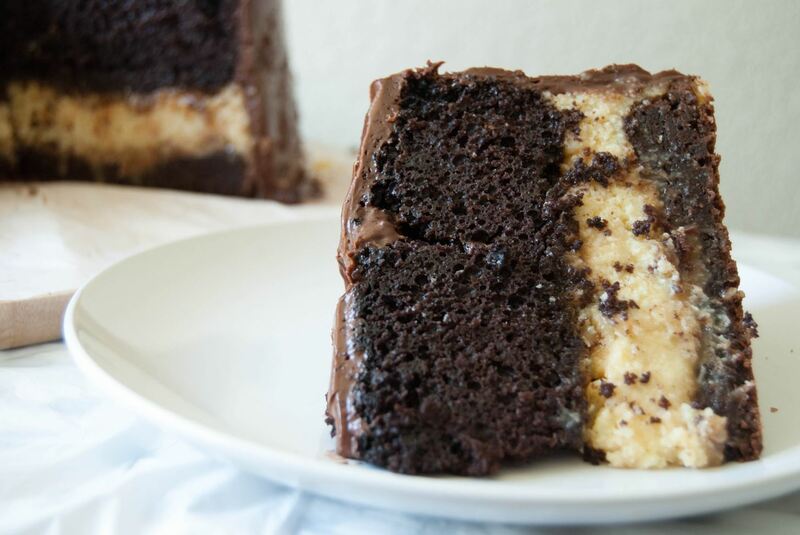 Chris' Outrageous Cheesecake, a decedent combination of chocolate cake, brownies, cheesecake, and coconut-pecan frosting, is easily one of The Cheesecake Factory's most popular desserts. But, the price of fulfilling your cravings for this addictive treat can get up there (at about $8 a slice), and when you eat it at the restaurant you likely are limited to only one small piece. Luckily, you can recreate it right in the comfort of your own home, and impress family and friends who won't be able to get enough! So read on to discover how to make your own impressive clone of Chris' Outrageous Cheesecake. A friendly baking PSA: this cake is not something that you can make on a whim as it takes careful planning to execute correctly. Read through all the ingredients and instructions to make sure you have everything ready and can time the process accordingly. Organization is key! Another trick that will make this whole recipe more manageable is using both pre-made chocolate cake and brownie mixes. However, if you feel ambitious and want to cook both from scratch—more power to you. Coat a 9-inch springform pan with non-stick spray, then line the bottom with a round of parchment paper. Set aside. In a large mixing bowl, whip together the cream cheese and sugar until smooth. Mix in the milk and the eggs (one at a time), making sure to just incorporate the ingredients but avoid over-mixing. Add the flour, vanilla, and sour cream, and mix once again until everything is just incorporated. Let the cake cool in the oven, once it's been turned off, for around 5 hours to prevent cracking. Lastly, place the cake in the fridge overnight to harden. 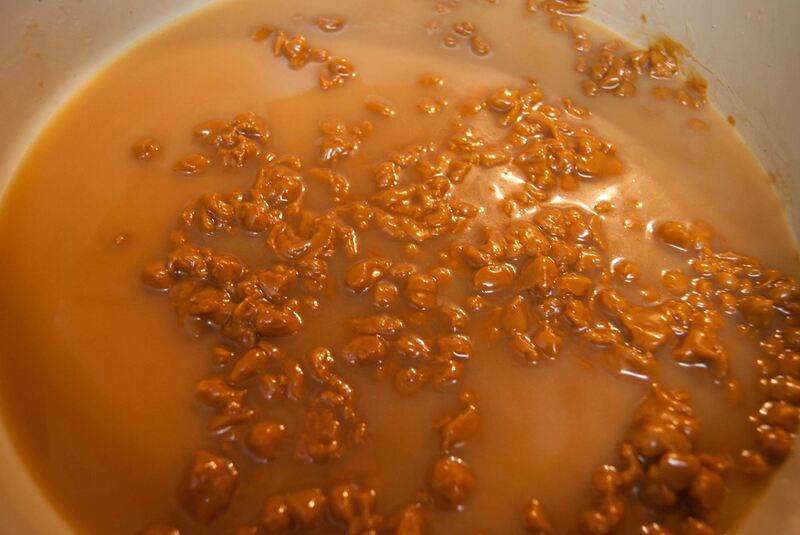 Heat the caramel bits and evaporated milk together in a heavy saucepan. Stir over medium heat until the mixture begins to boil. Remove from the stovetop, and stir in pecans and shredded coconut. 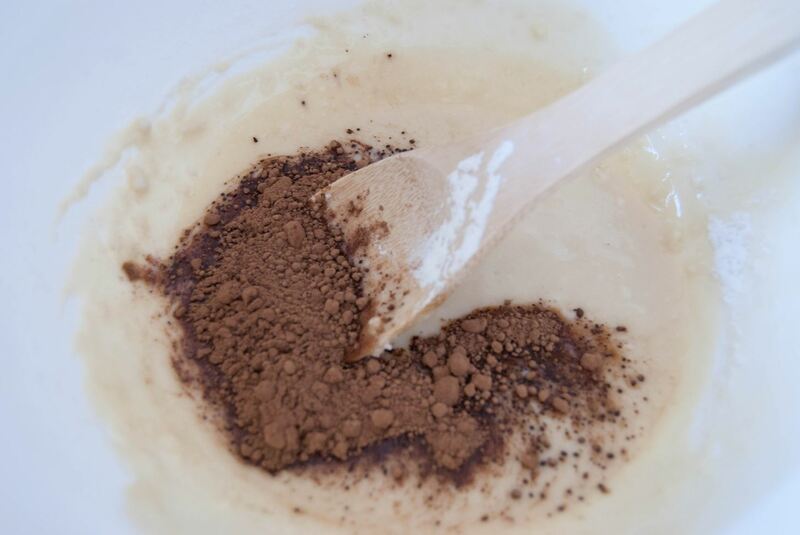 In a small mixing bowl, beat butter and vanilla together until smooth. Add powdered sugar and cocoa sugar and mix until just incorporated. Add 4 Tbsp. hot water and mix until combined. 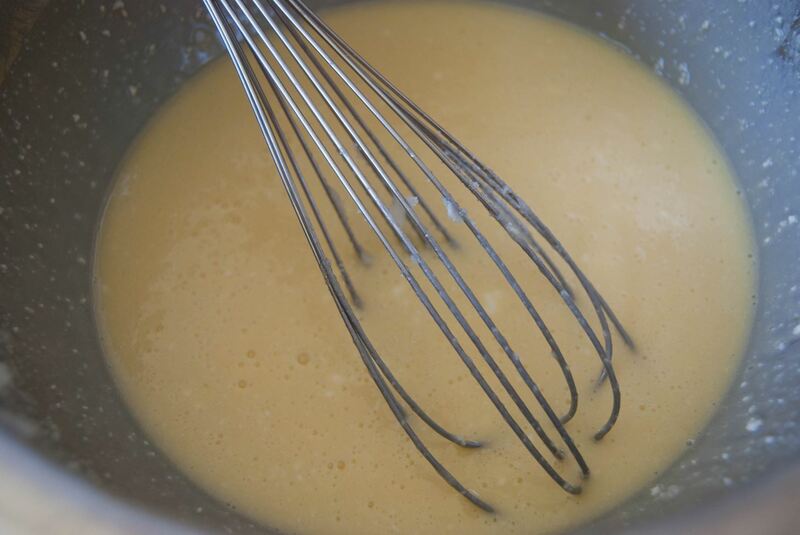 Continue to whisk quickly until the frosting thickens. If it turns out too thick, add an additional Tbsp. of water to thin it out. Following the directions on their respective packages, make the brownies in a 9-inch, round cake pan. Repeat the procedure with the chocolate cake mix, and allow both baked goods to cool fully before assembling your masterpiece. Place the brownie topside-down on a large serving plate (you'll have a smoother surface on which to work). Spread half the coconut-pecan frosting on the brownie (making sure to leave a half-inch border all around). Remove the cheesecake from its pan and carefully place on top of the frosted brownie. 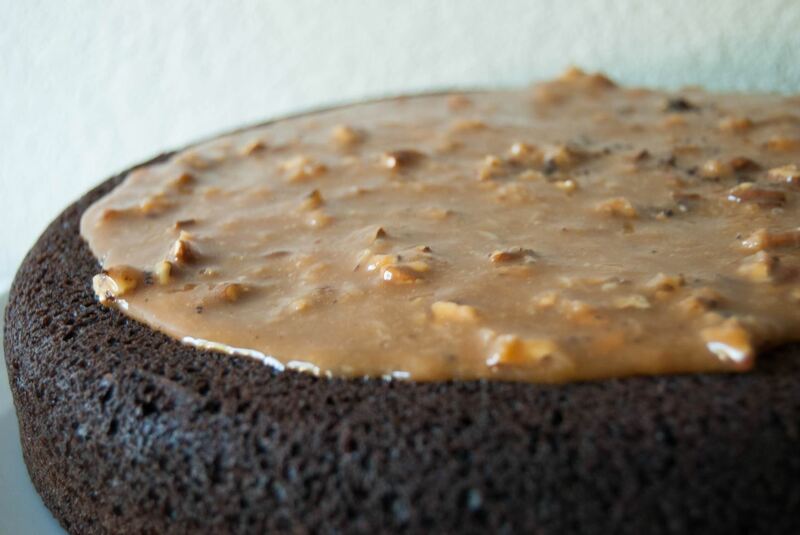 Turn the chocolate cake upside down, and frost it with the rest of the coconut-pecan frosting (again, making sure to leave a half-inch border all around). 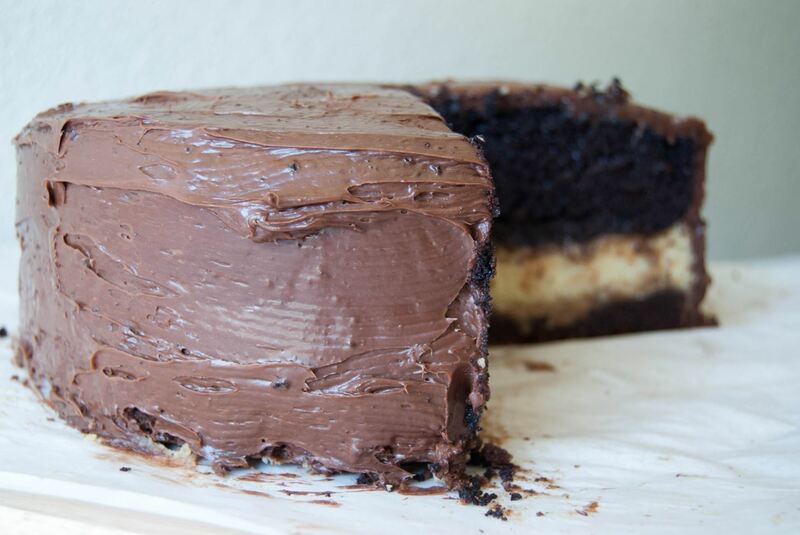 Place the frosted chocolate cake on top of the cheesecake. 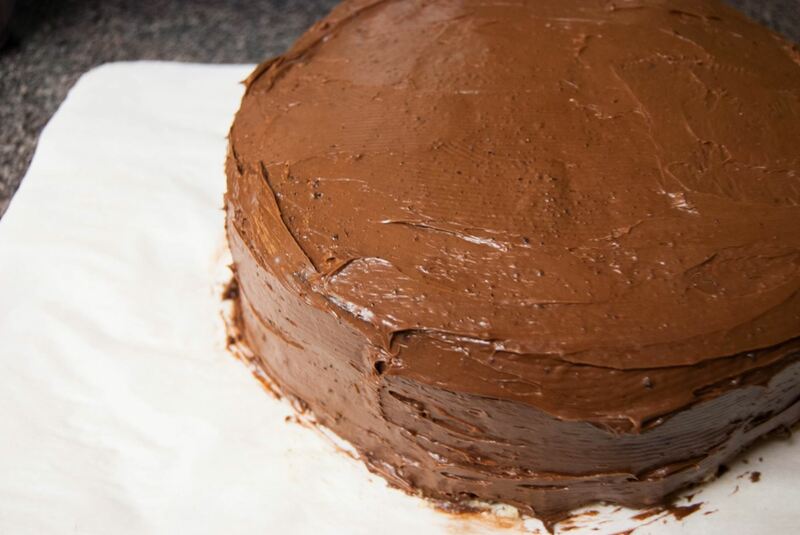 Frost the entire cake with the chocolate frosting. Refrigerate for a few hours to allow the entire cake to harden. Cut yourself a giant slice. You deserve it after all this work! Now that you know the secret to hacking this outrageously delicious dessert, it's time to make a beeline to the market to stock up on ingredients, and try it yourself. Let us know in the comment section below how the process went! Good article, nice pictures! Will try it this weekend. Does anyone know for step 1, #7, if the oven door should be open all the way while it cools, or just a crack, or not open at all after the heat is turned off? I place a bowl of water in the oven to prevent cracking. Oven door should be left open a bit or turn off oven sooner otherwise the cake may be overcooked.